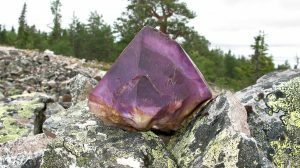 Amethyst mine hides many jewels, some of them can be up to 2000 million years old. If you are lucky you can find most famous jewel in Lapland – the Shaman jewel. From the mine we will hike to the PikkuLuosto fell where you can take wonderful photos of the magnifcent landscapes and wilderness. Even hawks, golden eagle and reindeer can surprise you. In the end of our tour we will sit around the campfire and enjoy roasted sausages with coffee / tea or juice. To the mine we drive by car. Total walking is about 3 kilometers. Latest on previous day by 14.00.